This book brings together research into key aspects of the interconnections between Islam, crime and the criminal justice system in Britain, a particularly timely collection in the light of both the recent disturbances in several northern English cities as well as the impact of the events of 11 September 2001 and their aftermath. 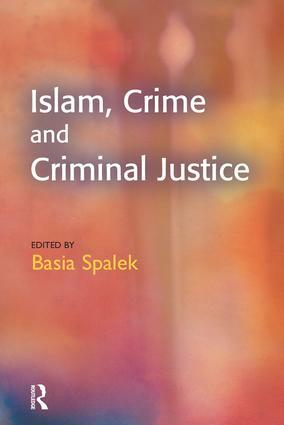 Chapters in the book focus on young Muslim men and criminal activity, Muslim women and their experiences of victimisation, the experiences of Muslim police officers, of Muslims in prison, issues of human rights in relation to Muslims in Britain, and the criminal justice policy implications of religious diversity. Main aims pursued through the book include issues of victimisation as perceived by Muslim communities, Muslim perspectives on crime and criminal justice, and ways of addressing issues of marginalisation and exclusion within Muslim communities. Overall the book provides an important contribution to debates over the role of Muslims in British society generally, as well as their experiences of and involvement in the criminal justice system and the policy implications that arise from this.